Science meets art. 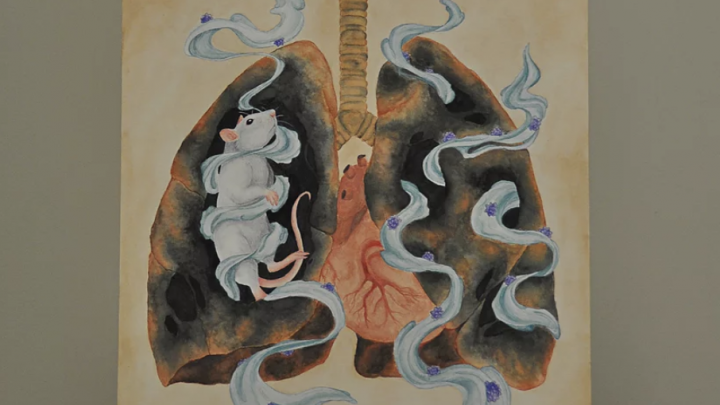 An interdisciplinary collaboration between artists and scientists, this exhibition employs art and media to express scientific concepts and theories. About 30 pieces of artwork have been featured since its launch in 2015. Opening reception: March 19 from 4:30 – 6:00 p.m.
Exhibition is from March 19 – 29. More information about the exhibition on the Visualizing Science website. No registration required. Drop by the opening reception on March 19 at Waller Family Lobby, L.R. Wilson Hall. In partnership with Faculty of Science.